It's Election Day in many places across the United States today. 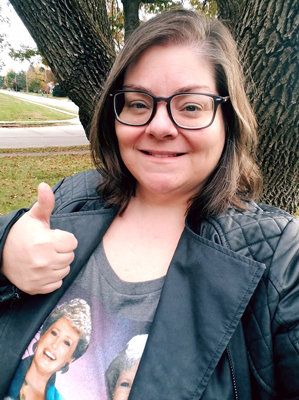 I got up at the crack of dawn so that me and the Golden Girls could go cast our vote first thing this morning when the polls opened. Someone get this broad some coffee. I am not in the business of telling people how to vote, and if you don't want to vote at all, that's your business, but here are some of my reasons for voting and encouraging others to vote. If you do go to the polls and encounter any voter intimidation or suspect voting irregularities, you can make a report at the Election Protection Hotline: 1-866-OUR-VOTE. If you need to find your polling place, you can do that at IWillVote.com. Please feel welcome and encouraged to share additional resources, information, and "I Voted!" photos in comments!